ALTERNATOR FAN BELT TENSIONER IDLER PULLEY. MUSA (350): 1.4 LPG. MUSA (350): 1.4. DELTA III (844): 1.4 16V. DELTA III (844): 1.4. DELTA III (844): 1.4 Bifuel. COMBO Box Body / Estate (X12): 1.4 CNG. COMBO Box Body / Estate (X12): 1.4. ALTERNATOR FAN BELT TENSIONER IDLER PULLEY. FIORINO Box Body / Estate (225): 1.3 D Multijet. QUBO (225): 1.4. QUBO (225): 1.3 D Multijet. 10.2009 - 02.2012. PUNTO EVO (199): 1.3 D Multijet. 07.2008 - 02.2012. PALIO Weekend (178DX): 1.9 JTD. PALIO Weekend (178DX): 1.9 D (178DYD1A07). 07.2002 -06.2010. MULTIPLA (186): 1.9 JTD 115. 03.2001 -07.2002. MULTIPLA (186): 1.9 JTD 110. 04.1999 -06.2010. MULTIPLA (186): 1.9 JTD 105 (186AXB1A). LANCIA MUSA (350) 1.9 D Multijet MPV Diesel 10/2004 on FWD 8 101 74. LANCIA LYBRA (839AX) 1.9 JTD Saloon Diesel 05/2001 10/2005 FWD 8 116 85. LANCIA LYBRA (839AX) 1.9 JTD (839AXI1A) Saloon Diesel 09/2000 05/2001 FWD 8 110 81. Vauxhall Astra MK5 Estate 1.9 CDTI 04-09 1910ccm 100HP 74KW (Diesel). Vauxhall Astra MK5 Estate 1.9 CDTI 04-09 1910ccm 120HP 88KW (Diesel). Vauxhall Astra MK5 Estate 1.9 CDTI 04-09 1910ccm 150HP 110KW (Diesel). LANCIA 46776151. LANCIA MUSA (350_) 1.3 D Multijet MPV Diesel 10/2004 09/2012 FWD 16 70 51. LANCIA MUSA (350_) 1.3 D Multijet MPV Diesel 03/2009 09/2012 FWD 16 95 70. LANCIA MUSA (350_) 1.3 D Multijet MPV Diesel 09/2006 09/2012 FWD 16 90 66. LANCIA MUSA (350) 1.9 D Multijet 10/2004 - 1910 74 101 188 B2.000 MPV. LANCIA LYBRA (839AX) 1.9 JTD 05/2001 -. LANCIA LYBRA (839AX) 1.9 JTD (839AXD1A) 07/1999 -. LANCIA LYBRA (839AX) 1.9 JTD (839AXI1A) 09/2000 -. INA F-557912. LANCIA MUSA (350_) 1.6 D Multijet MPV Diesel 07/2008 09/2012 FWD 16 116 85. LANCIA MUSA (350_) 1.6 D Multijet MPV Diesel 07/2008 09/2012 FWD 16 120 88. Function Deflection/Guide Pulley, v-ribbed belt. LANCIA 46447843, 46544612, 46742883, 46780491, 55185409, 55190424, 55196301, 55208280, 60813915, 60815661, 60815890, 60816824, 60816960, 71728498, 71747797, 73501275, 93183257. OPEL 0614352, 55196301, 5614445, 614352, 614571, 93183257, 93191381. LANCIA MUSA (350_) 1.4 LPG MPV Petrol/Petroleum Gas (LPG) 11/2010 09/2012 FWD 8 78 57. LANCIA MUSA (350_) 1.4 MPV Petrol 09/2005 09/2012 FWD 8 78 57. LANCIA MUSA (350_) 1.4 MPV Petrol 10/2004 09/2012 FWD 16 95 70. 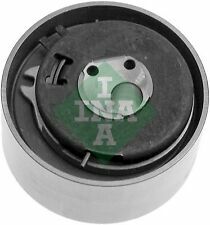 LANCIA MUSA 350 1.4 Timing Belt Tensioner 04 to 12 QH. LANCIA 46403679. LANCIA MUSA (350_) 1.4 MPV Petrol 10/2004 09/2012 FWD 16 95 70. LANCIA MUSA (350_) 1.4 MPV Petrol 10/2007 09/2012 FWD 16 90 66. Function Tensioner Pulley, timing belt. LANCIA 55183497. LANCIA MUSA (350_) 1.4 LPG MPV Petrol/Petroleum Gas (LPG) 11/2010 09/2012 FWD 8 78 57. LANCIA MUSA (350_) 1.4 MPV Petrol 09/2005 09/2012 FWD 8 78 57. Function Tensioner Pulley, timing belt. LANCIA MUSA (350_) 1.6 D Multijet MPV Diesel 07/2008 09/2012 FWD 16 116 85. LANCIA MUSA (350_) 1.6 D Multijet MPV Diesel 07/2008 09/2012 FWD 16 120 88. LANCIA 0051800046, 51800046. Function Deflection/Guide Pulley, v-ribbed belt. LANCIA 55190052, 60654130, 60813221, 60814427. LANCIA MUSA (350_) 1.9 D Multijet MPV Diesel 10/2004 09/2012 FWD 8 101 74. Function Deflection/Guide Pulley, v-ribbed belt. LANCIA KAPPA (838_) 3.0 24V (838AD1AA, 838AD11A, 838XD1AA, 838ZD1AA) Saloon Petrol 08/1994 10/2001 FWD 24 204 150. LANCIA 46454419, 46514222, 46794035, 60814033, 73501925. LANCIA MUSA (350_) 1.9 D Multijet MPV Diesel 10/2004 09/2012 FWD 8 101 74. Function Deflection/Guide Pulley, v-ribbed belt. LANCIA LYBRA (839_) 1.9 JTD (839AXD1A) Saloon Diesel 07/1999 09/2000 FWD 8 105 77. LANCIA MUSA (350_) 1.3 D Multijet MPV Diesel 10/2004 09/2012 FWD 16 70 51. LANCIA MUSA (350_) 1.3 D Multijet MPV Diesel 03/2009 09/2012 FWD 16 95 70. LANCIA MUSA (350_) 1.3 D Multijet MPV Diesel 09/2006 09/2012 FWD 16 90 66. LANCIA MUSA (350_) 1.9 D Multijet MPV Diesel 10/2004 09/2012 FWD 8 101 74. LANCIA 46546374, 55180011. 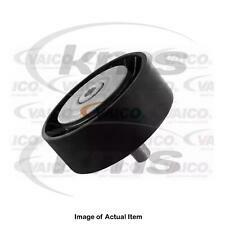 Function Tensioner Pulley, v-ribbed belt. Gates 22392, 534010120, APV1077, APV1077F, F236665, QTA1134, VKM32027. 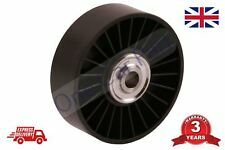 Crankshaft Pulley (TVD) DP1000K BGA. Part Number DP1000K. 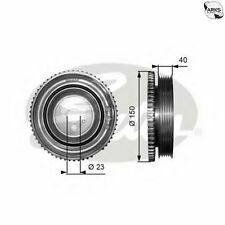 FIAT 46447843, 46544612, 46742883, 46780491, 55185409, 55190424, 55196301, 60813915, 60815661, 60815890, 60816824, 60816960, 71728498, 71747797, 73501275. 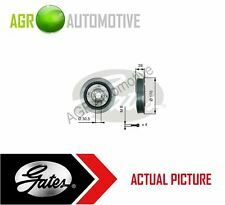 This is an original quality part manufactured by Gates. Equivalent Part Numbers. FIAT 46819146, 51821652. LANCIA 46819146, 51821652. LANCIA MUSA (350_) 1.3 D Multijet MPV Diesel 10/2004 09/2012 FWD 16 70 51. LANCIA MUSA (350_) 1.3 D Multijet MPV Diesel 03/2009 09/2012 FWD 16 95 70. Opel Astra H Sport Hatch H [2005-2010] Hatchback 1.9 CDTI (1910ccm 101HP 74KW Diesel). Opel Astra H Sport Hatch H [2005-2010] Hatchback 1.9 CDTI (1910ccm 120HP 88KW Diesel). Opel Astra H Sport Hatch H [2005-2010] Hatchback 1.9 CDTI (1910ccm 150HP 110KW Diesel). LANCIA MUSA (350_) 1.4 MPV Petrol 09/2005 09/2012 FWD 8 78 57. LANCIA MUSA (350_) 1.4 LPG MPV Petrol/Petroleum Gas (LPG) 11/2010 09/2012 FWD 8 78 57. LANCIA MUSA (350_) 1.4 MPV Petrol 10/2004 09/2012 FWD 16 95 70. PART NUMBER: T38364. V-RIBBED BELT DRIVEALIGN. LANCIA: 46546374. LANCIA: 55180011. FIAT: 46546374. LANCIA MUSA (350_) 1.9 D Multijet MPV Diesel 10/2004 09/2012 FWD 8 101 74. LANCIA 46546374, 55180011, 55190813, 60815188, 6340557, 71747798. Function Tensioner Lever, v-ribbed belt. LANCIA LYBRA (839_) 1.9 JTD (839AXD1A) Saloon Diesel 07/1999 09/2000 FWD 8 105 77. FIAT PUNTO (199) 1.4 Multi Air Hatchback Petrol 03/2012 on FWD 16 105 77. FIAT PUNTO (199) 1.4 Turbo Multi Air Hatchback Petrol 03/2012 on FWD 16 135 99. FIAT DOBLO Cargo (223) 1.2 16V Box Petrol 11/2001 on FWD 16 80 59. LANCIA MUSA (350_) 1.9 D Multijet MPV Diesel 10/2004 09/2012 FWD 8 101 74. LANCIA 55190052, 60626657, 60654130, 60814427. Function Deflection/Guide Pulley, v-ribbed belt. LANCIA THESIS (841_) 3.0 V6 (841AXC1101) Saloon Petrol 07/2002 07/2009 FWD 24 215 158. FIAT 55183497, 55233759, 6000100153. Engine Code: 350A1.000. INA F-574537. LANCIA MUSA (350_) 1.4 LPG MPV Petrol/Petroleum Gas (LPG) 11/2010 09/2012 FWD 8 78 57. LANCIA MUSA (350_) 1.4 MPV Petrol 09/2005 09/2012 FWD 8 78 57. 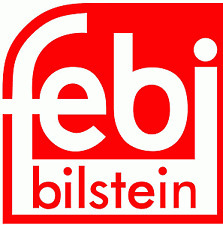 01.2003 - 08.2008. STILO Multi Wagon (192): 1.9 JTD. 09.2005 - 08.2008. STILO Multi Wagon (192): 1.9 D Multijet. 01.2004 - 11.2006. STILO (192): 1.9 JTD. 02.2002 - 11.2006. STILO (192): 1.9 JTD (192_XF1A). 10/2009 1910 44 60 188 A3.000 Box. 10/2009 1910 63 86 188 A7.000 Box. FIAT DOBLO Cargo (223) 1.9 D (223ZXB1A) 03/2001 - 1910 46 63 223 A6.000 Box. FIAT DOBLO Cargo (223) 1.9 JTD 07/2003 - 1910 77 105 223 A7.000 Box. LANCIA MUSA (350_) 1.9 D Multijet MPV Diesel 10/2004 09/2012 FWD 8 101 74. LANCIA 46454419, 46514222, 46794035, 60814033. Function Deflection/Guide Pulley, v-ribbed belt. LANCIA LYBRA (839_) 1.9 JTD Saloon Diesel 05/2001 10/2005 FWD 8 116 85. OPEL 0614150, 5614438, 614150, 931177317, 93194443. VAUXHALL 0614150, 5614438, 614150, 931177317, 93177317, 93194443. LANCIA MUSA (350_) 1.3 D Multijet MPV Diesel 10/2004 09/2012 FWD 16 70 51. LANCIA MUSA (350_) 1.3 D Multijet MPV Diesel 09/2006 09/2012 FWD 16 90 66. FIAT GRANDE PUNTO (199_) 1.4 16V Hatchback Petrol 10/2005 on FWD 16 95 70. FIAT STILO (192_) 1.4 16V Hatchback Petrol 01/2004 11/2006 FWD 16 95 70. FIAT STILO Multi Wagon (192_) 1.4 16V Estate Petrol 01/2004 08/2008 FWD 16 95 70. OPEL COMBO Combi / Tour (X12) 1.4 (C26, D26, E26, C06) MPV Petrol 02/2012 on FWD 16 95 70. FIAT IDEA (350_) 1.4 16V MPV Petrol 01/2004 on FWD 16 95 70. FIAT IDEA (350_) 1.2 16V MPV Petrol 01/2004 on FWD 16 80 59. Here is listed any variations of Gates Products for your vehicle. If the water pump fails, coolant will leak and contaminate the belt. This is a demanding task, requiring correct tensioning to ensure that belt performance is maintained at the optimum level. LANCIA MUSA 350 1.4 Timing Belt Tensioner 04 to 12 INA. INA F-236854. LANCIA MUSA (350_) 1.4 MPV Petrol 10/2004 09/2012 FWD 16 95 70. LANCIA MUSA (350_) 1.4 MPV Petrol 10/2007 09/2012 FWD 16 90 66. LANCIA 73503128. INA F-236665, F-585981. LANCIA MUSA (350_) 1.9 D Multijet MPV Diesel 10/2004 09/2012 FWD 8 101 74. LANCIA 46546374, 55180011, 60815188, 71747798. Function Tensioner Lever, v-ribbed belt. LANCIA LYBRA (839_) 1.9 JTD (839AXI1A) Saloon Diesel 09/2000 05/2001 FWD 8 110 81. Saab 9-3 YS3F 9/ 2004 - / 2015 Diesel: 1.9 TiD, 1.9 TTiD Z19DTH, A19DTR, Z19DTR, Z19DTR. Saab 9-3X 2/ 2009 - / 2012 Diesel: 1.9 TTiD Z19DTR, A19DTR. Vauxhall Combo MK III 11/ 2011 - / 2017 Diesel: 1.6 CDTI, 2.0 CDTI A16FDL, A16FDH, A20FD. FIAT 46819147, 55200498. LANCIA 46819147, 55200498. LANCIA MUSA (350_) 1.3 D Multijet MPV Diesel 10/2004 09/2012 FWD 16 70 51. LANCIA MUSA (350_) 1.3 D Multijet MPV Diesel 03/2009 09/2012 FWD 16 95 70. 1 Alternator Freewheel Clutch (Overrunning Pulley). LANCIA MUSA (350_). LANCIA DELTA III (844_). Requires Special Tools For Mounting. You will receive Depth [mm]: 14,3. 1.6 D Multijet 2008-07/2012-09 85/116 kW/KM 1598ccm. Gates 30733, 534024110, APV1088, APV1088F, APV1156, QTA1411, VKM32045, VKM32046. LANCIA DELTA III (844_) 1.6 D Multijet Hatchback Diesel 09/2008 08/2014 FWD 16 120 88. LANCIA DELTA III (844_) 1.6 D Multijet Hatchback Diesel 08/2008 08/2014 FWD 16 116 85.